While some filmmakers breakout from formulaic story telling, others try to give a twist within the beaten path. Director Athiroopan belongs to the latter category but how much his effort strikes chord with the audience remains to be seen. The opening makes you sit back as Kathir (Shantanu) at gunpoint escapes with the bride Anu (Shruste Dange). 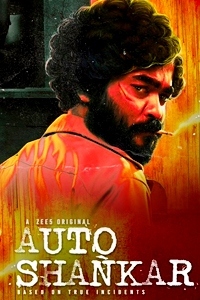 As her murderous brother and the cops are in pursuit we get to see in the flashback that the duo are childhood friends who later become lovers when Kathir and his parents return after many years. At about the interval there is a twist that Anu is actually being kidnapped by Kathir and after a few chases comes the real twist that is truly hard hitting leading to an emotional climax. Shantanu is a much improved actor as witnessed in 'Koditta Idangalai Nirappuga' and here as Kathir he is impressive especially during the emotion packed climax sequence. The surprise package here is Shruste Dange who is very much in form as the innocent school girl and is riveting as the selfish schemer overshadowing everyone towards the end. 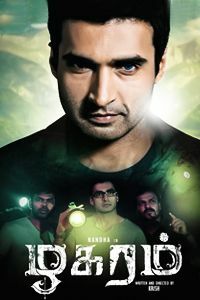 Skanda Ashok as the film hero suitor if the heroine and Ravi Prakash as her evil brother are impressive. Appukutty, Thambi Ramaiah and Swaminathan are in the cast but it is comedy that is totally absent. G.V.Prakash Kumar's songs are all pleasing to ears and his background score too passes muster. 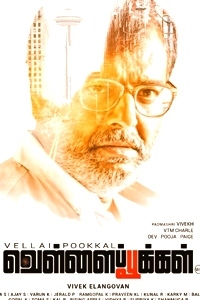 Rasamathi's camera work and Vivekh Harshan's editing is passable. Writer-director Athiroopan with a strong twist in his script could have done a lot better in characterization and innovative screenwriting. The love track between the leads itself lacks depth and does not allow the audience to care too much for what happens to them. Shantanu turning to drugs and his depressed behavior is not at all justified. The good part of the film comes too late and loses its value as everyone are tired with boredom by then. Verdict : Go for it if you fancy Shruste Dange and a fairly emotional climax.